This month we round off our African season with Neill Blomkamp’s and Peter Jackson’s District 9; an exciting sci-fi romp set in the slums of South Africa. A cult hit from 2009, this surprise blockbuster provides a thoughtful and upbeat ending to an extraordinary selection of films that have been as diverse, and we hope enjoyable, as the continent we have showcased. 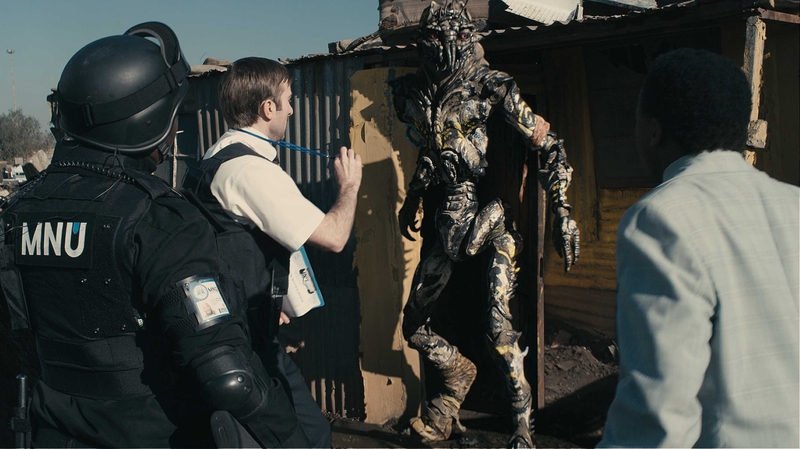 District 9 takes place in a society that is more modern day reflection than dystopia, where alien refugees have descended upon Johannesburg, evoking apartheid comparisons and igniting an atmosphere of fear and hatred. Wikus van de Merwe, a bumbling and incompetent employee of his father-in-law’s sinister corporation MNU (Multi-National United), is tasked with ‘relocating’ the aforementioned unaesthetically pleasing, and unwanted, inter-galactic visitors. They are to be forcibly removed from the titular ghetto that has become their home, whilst preparations are made for MNU to build what sounds suspiciously like a concentration camp. Oscar nominated special effects abound as producer Peter Jackson creates cartoonishly grotesque aliens (or “prawns” as they are referred to by humans), who wield futuristic yet crude alien weaponry that the frustrated humans are unable to harness. Shot as a faux docu-drama, the action kicks off with fantastic footage of a hovering space craft, and the canvassing of xenophobic local opinions taken from, and inspired by, real life footage of interviews with South Africans on immigration. The plot then settles onto Wikus, and his enforcement of segregation and experimentation onto the Aliens he is determined to use the documentary to depict as depraved. Unfortunately for him, his prejudice comes back to bite him in a big way, when a freak accident and subsequent transformation leads to him being ostracised by his family, the corporation and South African society. That is, until they realise he may now be able to unlock the mysteries of the Alien weaponry. Unable to communicate, looking like an overgrown insect, with nowhere to turn and his own family hunting him down, cowardly Wikus turns to those he once persecuted for shelter. His encounters with a devoted Alien father and son team then propel him on a mission of redemption to win back his body, his wife and his humanity. 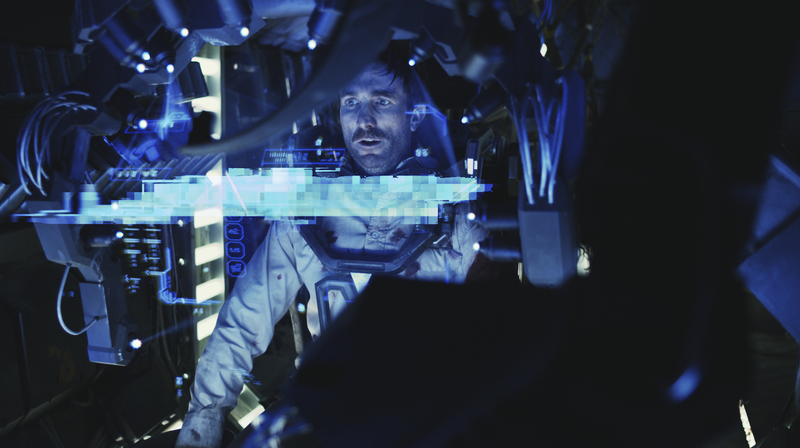 Half social satire and half pulsating action-comedy-sci fi, the final offering for this season is a thoroughly entertaining end to our cinematic (and gastronomic), continent spanning adventure, which has included contributions from Central, Western and Southern Africa. We hope you have enjoyed it as much as we have! Thanks to Holly for another great preview. This month’s screening takes place Thursday 26th June at 7PM in Armley Mills’ Palace Picturehouse. Tickets are currently available over on our online ticket office. As always the event will include a selection of African short films and FREE homemade refreshments will be available on arrival. We will also be discussing details of our upcoming film season, which runs from July to September. District 9 is very thought prvinkoog. If the film was made in the U.S. it would have it’s own racial inclinations, and the fact that South Africa has a racial past is at least explored. I have read some Sci-fi where racial customs are carried into the future, and on other planets. There are many sci-fi novels where segregation between white landowners and black laborer exist. We live in a racial society, I listen to a Clear Channel radio station during the late-night to hear Coast to Coast AM, however in the morining the station is downright offensive, constantly using terms like They, their community, them, and even those people. It’s true, whites focus on race a great deal, the fact that we are in an Anglo dominated world leaves most with little to compare with.